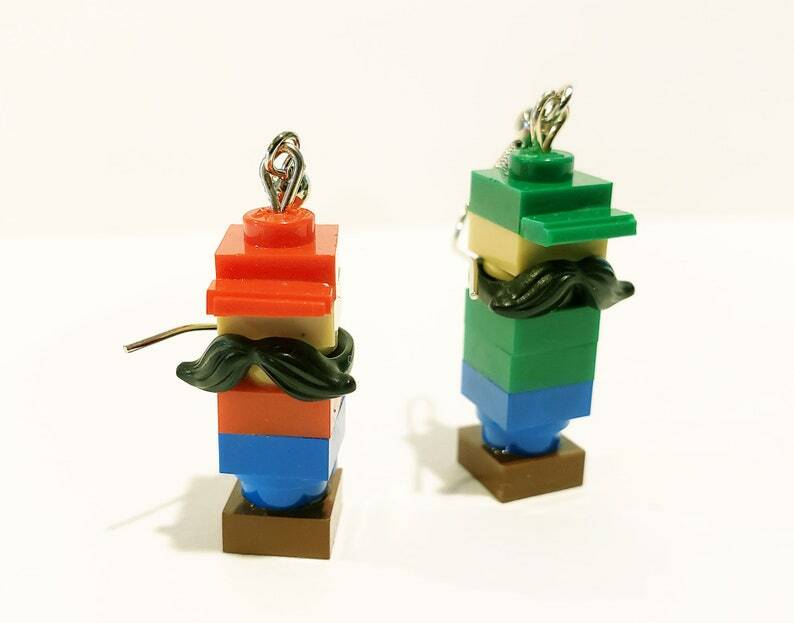 Who wouldn't want the best plumbers of them all made from LEGO® elements on earrings? If you love Mario Brothers, Nintendo, or video games then these are the earrings for you. LEGO is a trademark of the LEGO Group. This site is neither owned nor operated by LEGO Systems, Inc. and is in no way sponsored, authorized, or endorsed by the LEGO company. All other trademarks, service marks, and copyrights are property of their respective owners.